Just lost my 6 y/o Aussie. No warning. All seemed normal. Went into dog house, something he never did, went to sleep and did not wake up. I have two other mixed breed dogs, both older and no problems. Wondering if anything genetic possible? 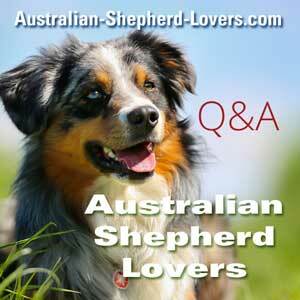 we were told not genetic, we have three other Aussies from same breeder. Zoey is now going on 11 and healthy. I lost my 6.5 year old to Leukemia. I didn't know she was sick until she was on a antibiotic for a pulled toe nail. She was throwing up and I thought it was the antibiotic so we changed meds. She stopped eating and rushed her back to the Vet when I noticed her gums were pale. Blood work and bone marrow test showed it was leukemia. She was very active and played Frisbee everyday so I had no clue she was so sick.